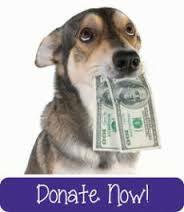 100's of BLANKETS, PET BEDS, 100 CRATES, LEASHES, COLLARS, FOOD BOWLS & MORE. Our resources are really being strained now. OPERATION BLANKETS OF LOVE (OBOL) continues to collaborate with many transport efforts for urgent pet supplies needed for the displaced pets. 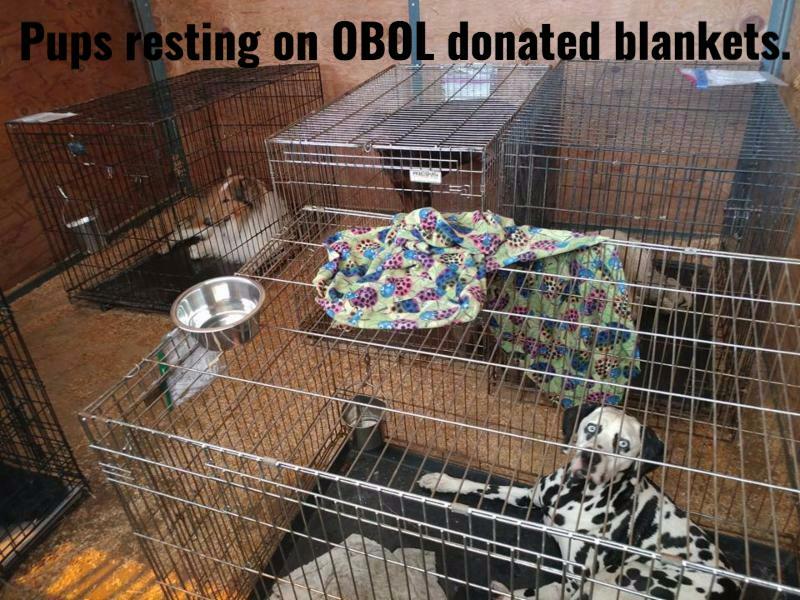 During the Burbank Fires OBOL donated tons of food, blankets and pet beds to make the pups comfy. Just think how many more will have to be saved in Florida!! If you gave already our heartfelt thanks to every one of you. Do I just sit back or am I part of the solution? 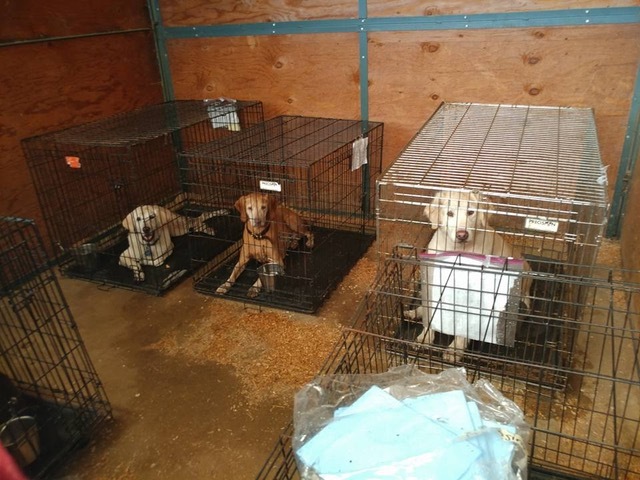 Do I want to help these poor dogs and cats who are displaced in strange shelters wondering where their families are? And just think of all the animals who will need help in Florida! 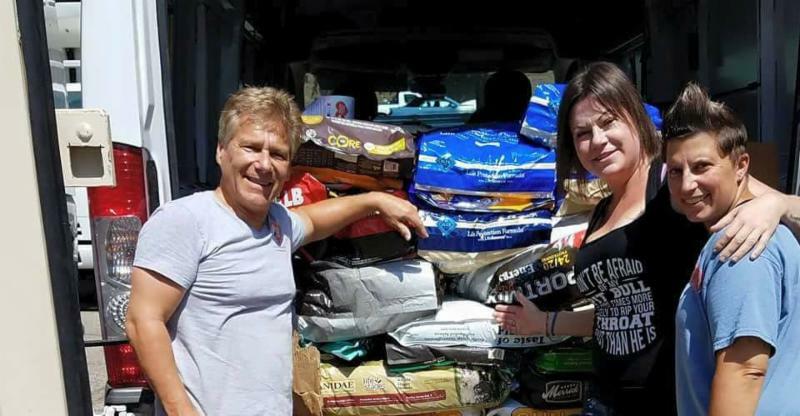 Donating tons of pet food for the displaced animals. 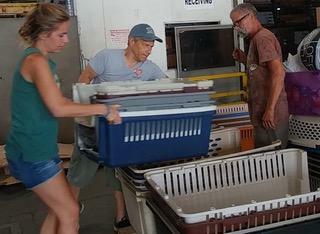 Promisesto continue donating what they need for these family pets until they are all back together safe and sound. Will keep sendingthe critical pet supplies until these disasters are over. **Please make your emergency donation today. 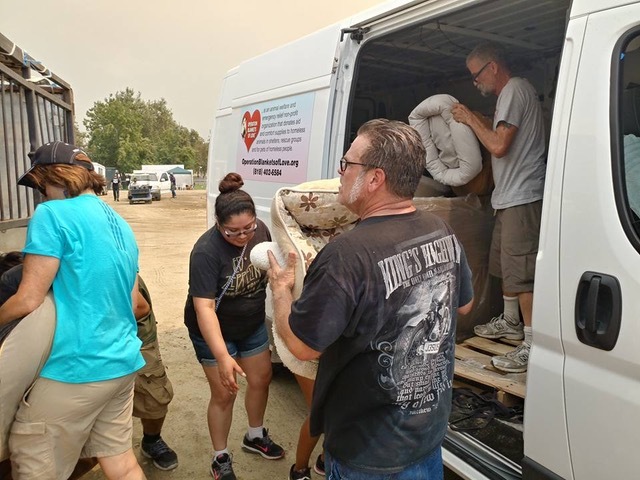 Help us continue sending supplies for as many displaced pets as we can... and to support our relief efforts for this disaster and others in the future.